These adorable Grinch-inspired Christmas cookies by Kim Alexander of Scrumpalicious will warm any Scrooge's heart. 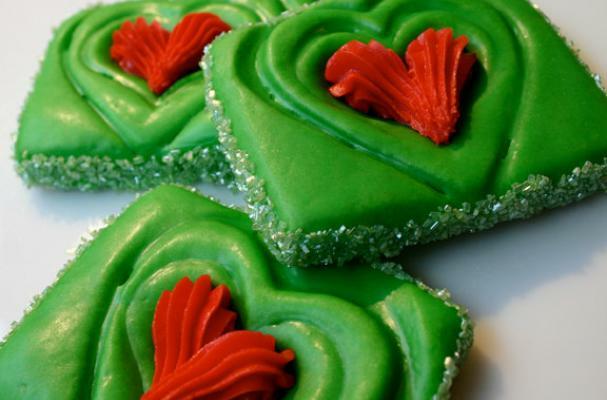 The spiced apple cider, caramel and cinnamon cookies are topped with a red heart and sparkly green sprinkles. The holidays offer a perfect excuse to munch on cookies. If you prefer to make your own, consider one of these holiday cookie recipes. I was *not* ready to think about Christmas cookies until I saw these. Love them!